Being a father, I’ve been browbeaten into the harsh reality of multitasking. The art of doing something while doing something else that's a bit different, but no less necessary, does not come easily. However, you do end up getting things achieved in less time. Can you see where this is leading? Look at the title again and see if you can guess (for non-women and non-fathers, I'll spell it out). 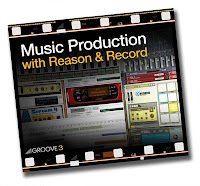 I'm reviewing two Groove3 video tutorials about Propellerhead Software's Reason; tutorials that come from different angles. I aim to see if they complement each other, thus offering you the potential to get more done, or whether I've just repeated a few hours of my life for no good... Ahem... Reason. The 34 video tutorials, running for nigh on four hours, are of the WhichButtonDoesWhat variety and are aimed at beginners. It's not project based, which I feel is appropriate since a beginner most often learns best with one thing at a time. Project-based tutorials can work but - we'll leave that for a few paragraphs down. Sedric’s delivery is not quite as practised and fluid as some other Groove3 presenters’, but he clearly knows his stuff. More importantly, he knows when to explain and when to let you know that he'll be coming back to a certain button later. Knowing when to speak and when to shut up is a gift of good teachers. When explaining a suite like Reason, it's all too easy to disappear down a technical rabbit hole rather than stay on topic, but the presenter manages to keep on track. I'm also pleased to say that, even with some subjects I know fairly well, I managed to pick up new things. So I can recommend this series to people who have been away from Reason for a while, as well as to newcomers. The information can come thick and fast, but there's always pause and replay so you can revise the more brain-bending material. And the length of each video clip is sensible, mostly between four and nine minutes. The bottom line with this series is that I'm glad I looked at it. I found myself both liking and trusting the presenter. If I had Reason neophytes asking how to advance their knowledge, I would happily point them in the direction of Groove3's Reason collection. Then we come to a set of videos I shouldn't really be reviewing because they're based on Reason 5 and Record and are, like, sooo out of date, dude. Well, let's provide a pithy riposte to that comment straight away: They're not. 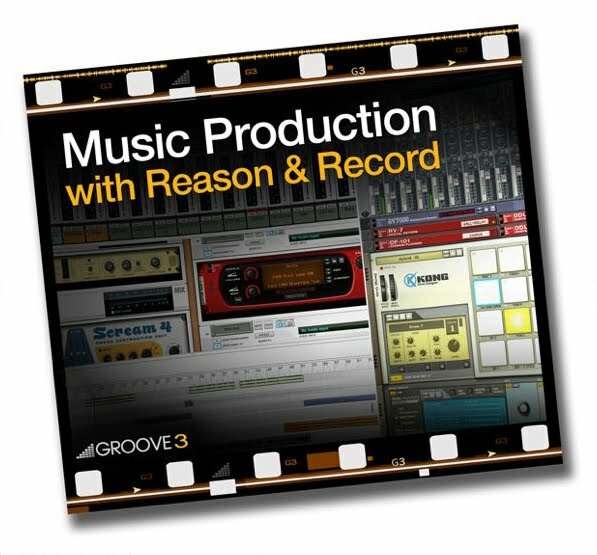 Music Production with Reason & Record by Josh Mobley (aka Neoverse) and Kurt Kurasaki (aka Peff) take us through a project, stopping by all the salient points and showing us what was done and why. It sounds like the Propellerheads commissioned the song and, while the genre isn't particularly my cup of tea, it's the kind of project-based tutorial that owners of Reason will take to straight away. This isn't a manual about the highway code; it's an on-road driving lesson - an approach, I think, that is oft dismissed when teaching music production. The videos are presented in an engaging style. We see a track built up from the basic beat, given to a third party for vocals, then we come back to seeing the track completed. It's always fascinating to see how someone else works and this really gives you a seat next to the producer without worrying about your squeaky swivel chair squeaking distracting the experienced pro. Josh gives as much information as he sees fit in each video and no more, so the length of the clips varies a fair amount, from medium to short snippets. Short but sweet, though. Going through them, I lost count of the times I thought ‘Of course! Why am I not already doing that?’ and I was always eager to move onto the next video to see what box of tricks would be opened. While I offer thanks to authors of all the videos I've seen that explain what a mixing desk is, these vids present someone using the desk the way a producer would use it: Making subgroups; ducking via sidechaining; and so forth. What I like is that we’re seeing the processes employed by someone who’s set out to create a good song. You see techniques pulled in to support those processes, instead of watching a technique that may be impressive, but you then forget because you don't get to see it in context. The phrase 'box of tricks' carries the wrong connotation here. It implies something that takes the place of quality technique. So I'll use the phrase 'little bag of quality techniques from which you really will benefit'. Snappy, huh? Let me quell any doubts that with the arrival of Reason 6, these videos have become outmoded. They are completely relevant to v6 because they’re all about music production. EQ is relevant, compression is relevant and a mixing tip is always useful. Where this video series also shines is in giving someone who is making music a chance to sit on the shoulder of someone who has done so before. I suspect there’s a lot of people who have learned the functionality of Reason, but not the reason of Reason. This video set gives you such insight and, even though it doesn't refer to the latest version, let's face it, Reason’s latest incarnation seems to be primarily about integrating Record into the mother package. Perhaps that would have been a problem if this was a nuts-and-bolts set of videos, but it's not (that's the territory of the first set of videos in this post). Groove3's Music Production with Reason & Record offers getting plenty of up-to-date information and nothing obsolete. 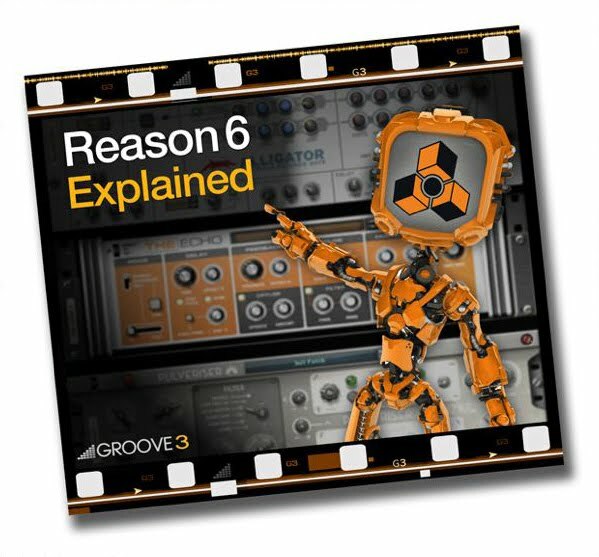 As such, I'd recommend it as a worthy counterpart to Reason 6 Explained. Together they can take a beginner from clueless to confident. *Reason 6 Explained is currently at a sale price of $39.99, or 40% off, which offers yet another excuse to check out these products.